If you need new batt insulation installed in your home, turn to 31-W Insulation for an expert installation team that will make sure your house is thoroughly insulated. We proudly serve the Greensboro area of North Carolina with highly knowledgeable and experienced installers that are all our own employees, not subcontractors, who proudly uphold our stringent standards of workmanship and customer service. In fact, we are so committed to total customer satisfaction that we hold an A+ rating with the Better Business Bureau. When you have us install batt insulation in your home, our team will first perform a no-obligation assessment of your current insulation for free to see where your house needs new insulation the most. 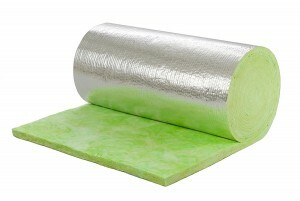 This allows them to immediately address the most significant insulation issues in your home with the great precision and efficiency we are known for. To learn more about the benefits of having our team install batt insulation in your home in Greensboro, North Carolina, contact 31-W Insulation today.